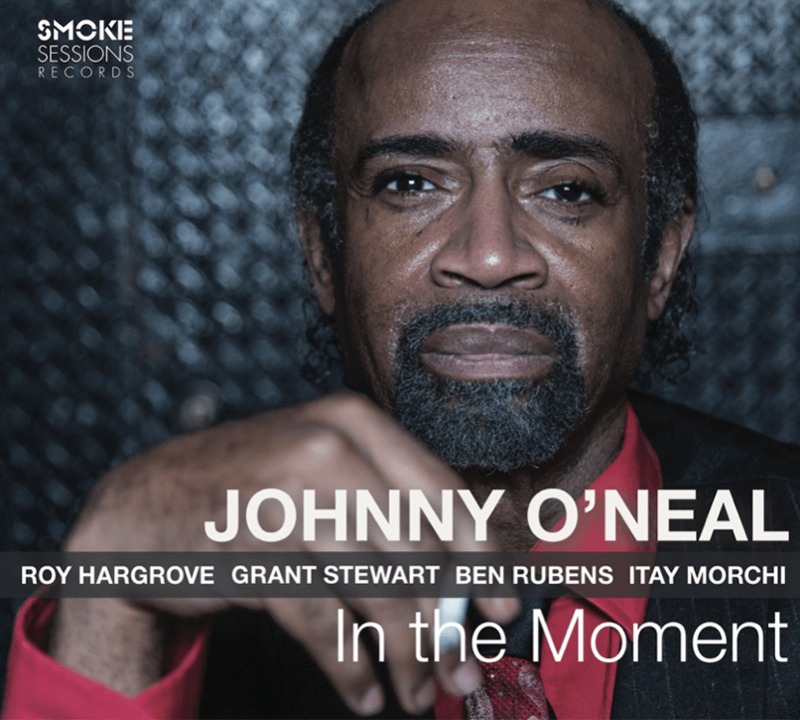 In the Moment, features bassist Ben Rubens and drummer Itay Morchi, O’Neal’s regular working trio for the past year. The weightless swing and easy but deeply felt interplay the three share reveal the benefits of their regular residencies four and five nights a week including every Saturday at Smoke Jazz & Supper Club. The biggest names in jazz make a point of stopping by to hear O’Neal, and there’s no telling who might sit in during his sets on any given week. True to that policy, two very special guests dropped by the studio for this session—trumpet great Roy Hargrove and tenor-man Grant Stewart. The wide-ranging repertoire on In the Moment provides a cross-section of the hundreds of pieces that make up the O’Neal Trio’s ever-changing book. The material ranges from blues to straight-ahead to post-bop to pop tunes to ballads, each one fully explored and deftly illuminated by O’Neal and his electrifying bandmates. Unlike most of his past recordings, it shows off several of O’Neal’s own compositions, some of which date back more than 20 years but have never been recorded.